Today, DT comprises about above 85 active staff, 20 fellows and students fully or partially funded by DT, and hosts 2 field support units (FSU PH-02 and PH-40). 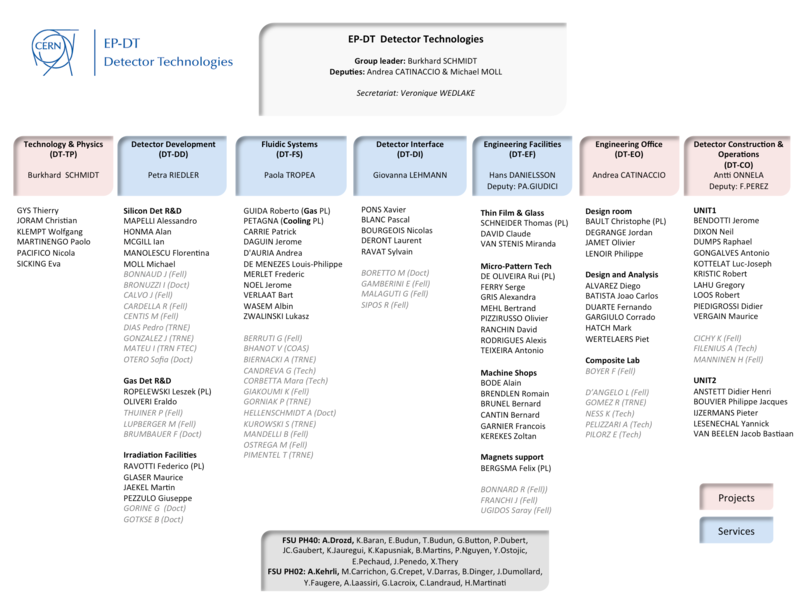 DT staff is grouped in 7 sections: Technology and Physics, Detector Development, Fluidic Systems, Detector Interface, Engineering Office, Engineering Facilities, Detector Construction and Operations. Work is however carried out in project or service teams often formed for a limited time with people from several sections and led by a DT project leader.